BEL - good offer Two-way PWM controller DORN 63120. 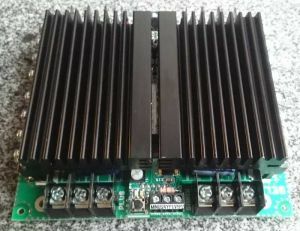 Two-way PWM controller DORN 63120. 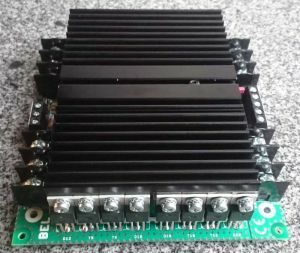 Basic description: two-way PWM controller do DC motors, supply 12 to 63 V, current to 120 A, driving by poteniometer, voltage or servosignal. Setable accelaration. deceleration, current limitation, power of braking and battery minimal voltage. 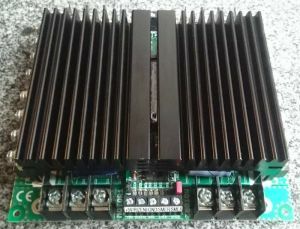 The controller is designed to control the speed of DC motors (with permanent magnets or induction motors) in both directions, for example in electric vehicles, karts, machine tools, or in reels for RC models. The power supply voltage of the controller can range from 12 to 63 V, load current up to 120 A. 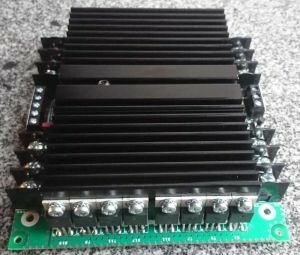 A fan for additional cooling can be purchased from the controller, which can increase the load current to 160 A. The speed and direction of rotation are either controlled only by a potentiometer or by a voltage of 0 to 5 V) or by a RC signal, or by the potentiometer (voltage) can only be controlled by the speed and direction of rotation by the switch. The controller can inhibit the motor by recovering energy back into the battery or countercurrent. 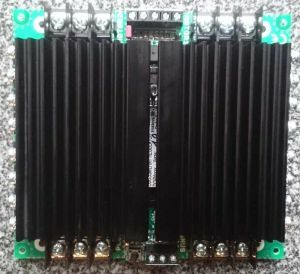 The user can set up control mode, current limit, minimum supply voltage, acceleration, deceleration, maximum braking power (recuperative or countercurrent), individual control point boundaries and maximum speed in either direction. The controller has built-in thermal and surge protection. Control signal: voltage 0 to 5 V or RC signal 1 to 2 ms. Controller supply voltage: 12 to 63 V.
Load current: up to 120 A, with fan up to 160 A. Control range: PWM 255 steps (maximum may be different in each direction). Slow down voltage: adjustable from no deceleration, 0.5, 1, 2, 4 or 8 s.
Recuperative brake: adjustable from 0 to 100% (maximum possible force, 10 steps). Countercurrent braking: adjustable from 0 to 120 A (in 10 steps). Protection: thermal, EMF and overvoltage protection. Operating temperature range: 0 to 40 °C. Dimensions: 119 x 132 x 37 mm. 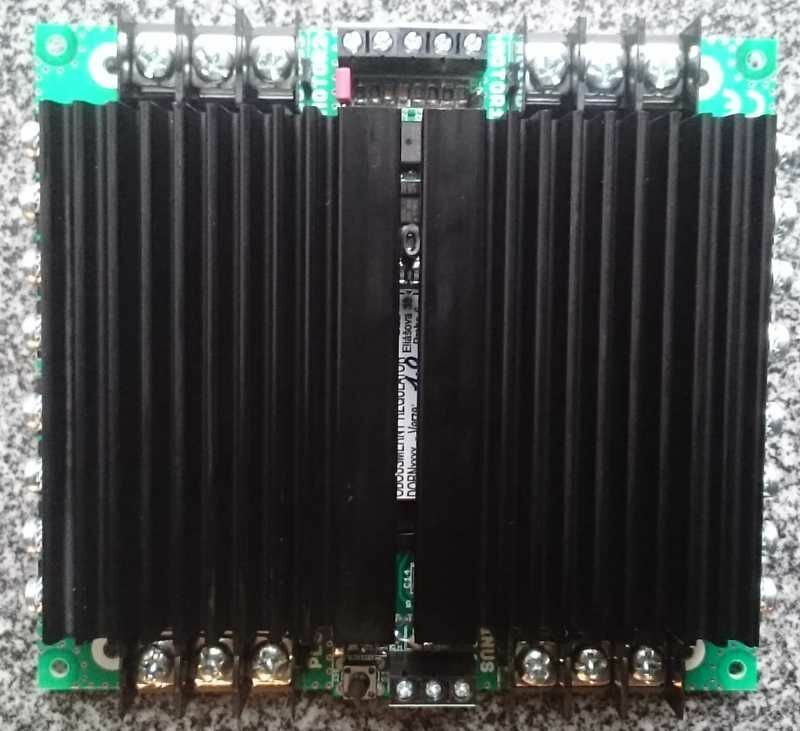 Your question Two-way PWM controller DORN 63120. We offer development on demand in the regulation of voltage, current or speed, charging or measuring. We provide production, we accept orders from 15.000 to 250.000 CZK.